We love children and that sentiment guides our hand. Each of us recognizes the incomparable precious bond you have to your children. Therefore, we respect and value the trust you place in us in caring for them. While reactions and results can never be guaranteed, our sincere best efforts are absolutely assured. 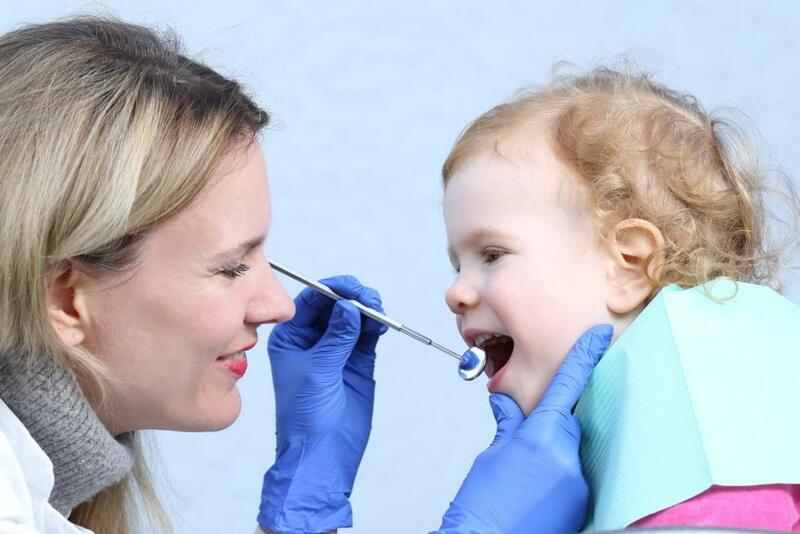 Pediatric dental specialists complete a minimum of 2 years additional training following dental school focused on clinical and behavior management of infants, children, and adolescents, including patients with special needs. The very young, pre-teens, and teenagers all need different approaches in dealing with their behavior, guiding their dental growth/development, and helping them avoid future dental problems. A pediatric dentist is best qualified to meet these needs. Good oral health is an important part of overall health. As your child’s “dental home”, we will have the opportunity to implement preventive dental health habits to keep your child free from dental and oral disease. From the moment you walk into the practice, your child will be embraced in our warm, caring and child-friendly environment. Your child’s first dental visit at age 1 allows your child to be established in a “dental home.” Children can start to have cavities as young as 6 to 12 months of age. Since treatment of decay in young children can be costly and traumatic for the parent and child, our emphasis is placed on preventing the dental disease before it starts. Establishing a relationship with a pediatric dentist early also helps expedite treatment in the event of an emergency involving the mouth. Unfortunately, injuries involving the teeth and surrounding areas are common as your infant learns to walk and explore his or her environment. 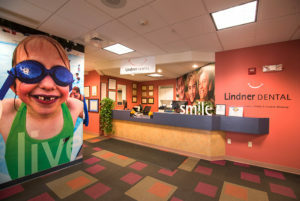 At Lindner Dental Associates, our goal for the first visit is to establish a warm relationship with you and your child. For young children, the first visit is an introduction to acquaint your child with our doctors and staff and. We have found that a calm, friendly and fun environment is the key to a successful first visit. We understand that you or your child may be anxious and our staff will help your child every step of the way. We encourage you to talk to your child in a positive way about what to expect and to build excitement about coming to the dentist. 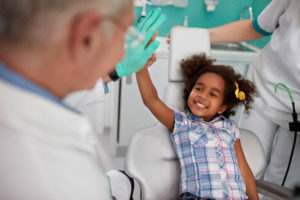 Our pediatric dentists and pediatric dental hygienists will answer your questions and discuss appropriate diet and oral hygiene practices that will achieve optimal results for your child’s oral health. One of our pediatric dentists will then examine your child’s teeth and gums to check for any problems. This visit will provide a proactive way for your child to maintain a cavity-free mouth. Small procedures in cooperative children can often be done in our office under local anesthesia, with or without nitrous oxide sedation. At Lindner Dental Associates, we have mounted tv screens where children can watch a movie during their procedure. We will explain the procedure using age-appropriate and non-threatening terms. Tell-Show-Do is a method we use to explain and prepare children for their dental treatment. First, we explain what is to be done. Then, we show how it is done, and finally we perform the procedure. The most common form of sedation we use in our office is nitrous oxide (laughing gas). The American Academy of Pediatric Dentistry recognizes this technique as a very safe, effective technique to help relax your anxious child during treatment. Some children require an extensive amount of dental work. In these circumstances, it is difficult for a small child to cooperate and often the treatment cannot be done properly in an office setting. Under these conditions, we may recommend treating your child in a hospital setting under general anesthesia. Come in early and enjoy our waiting room.